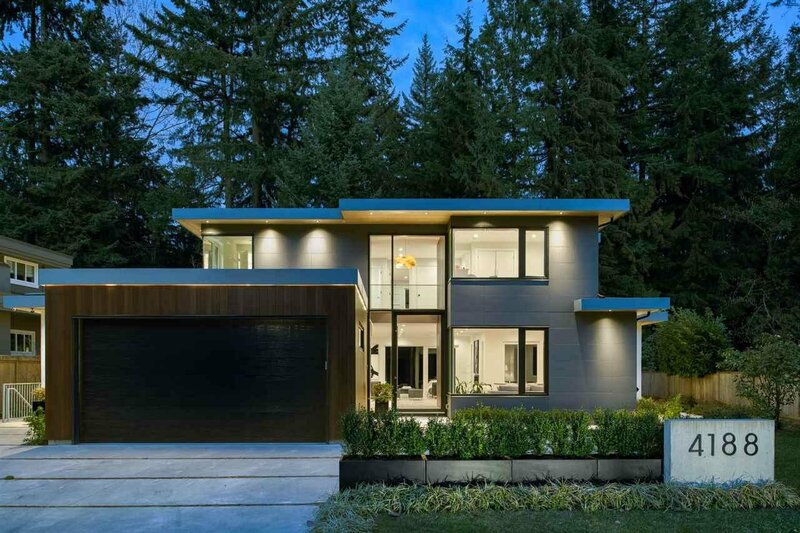 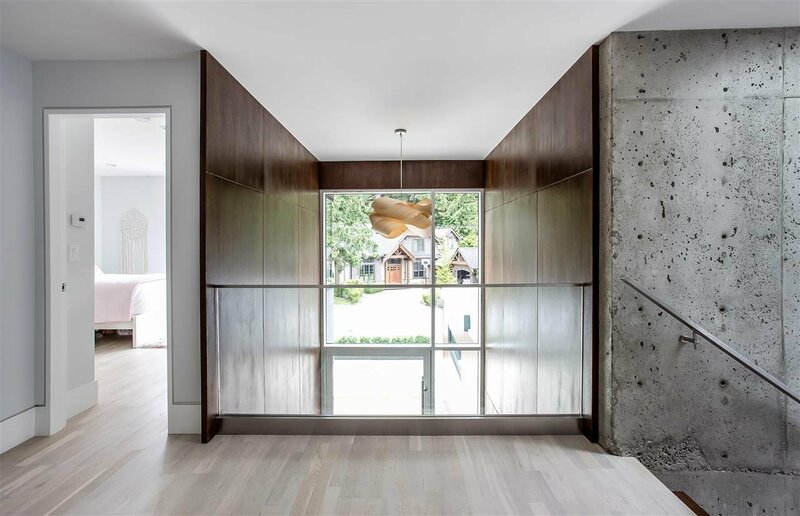 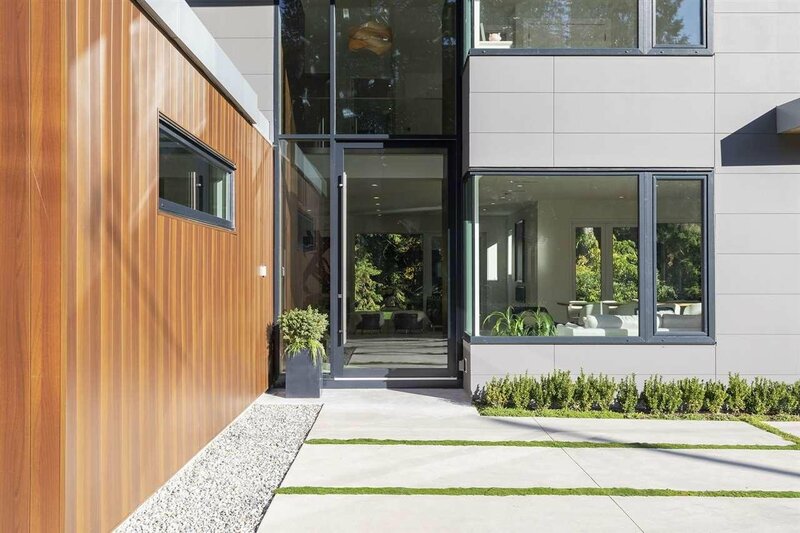 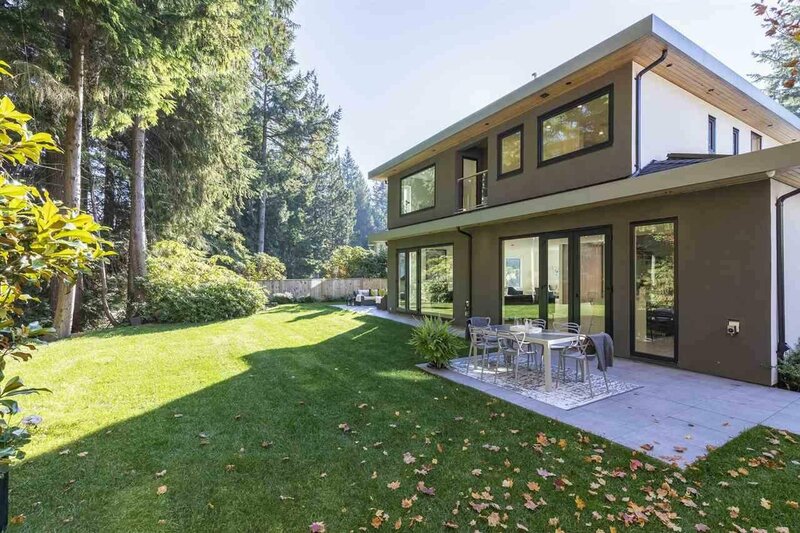 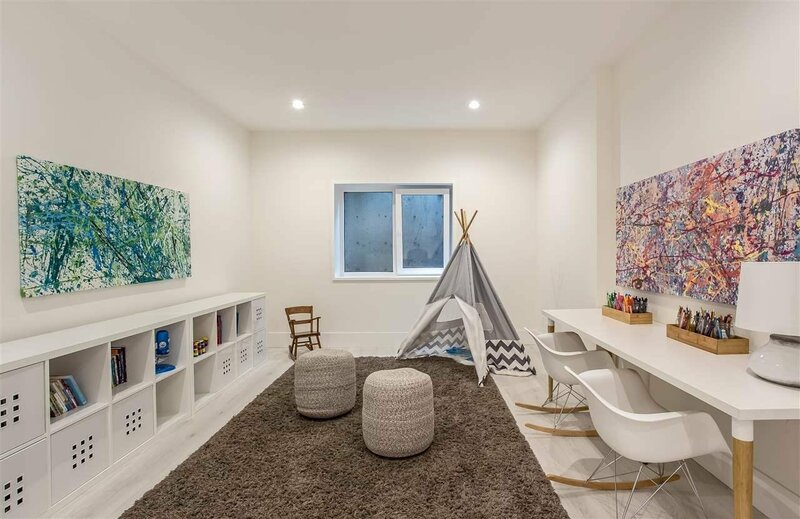 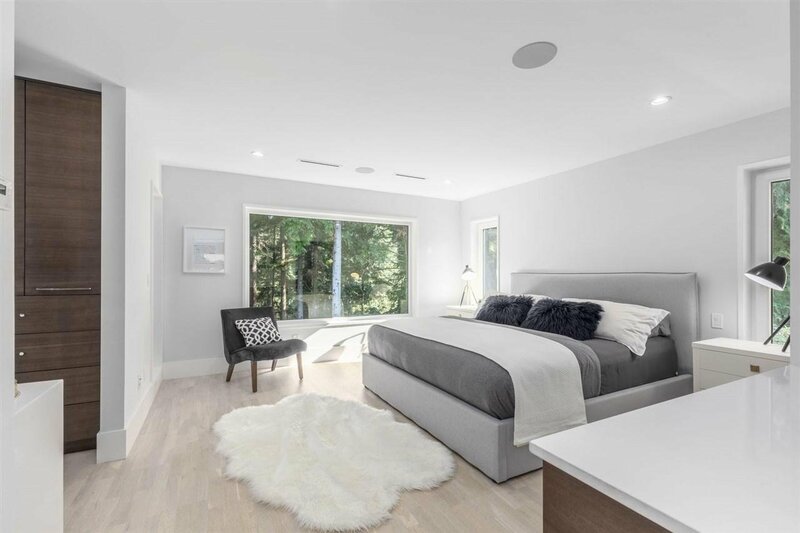 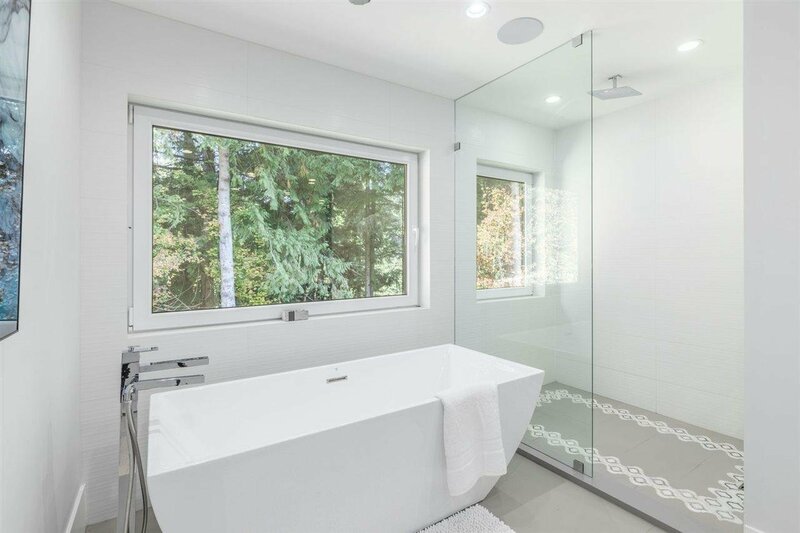 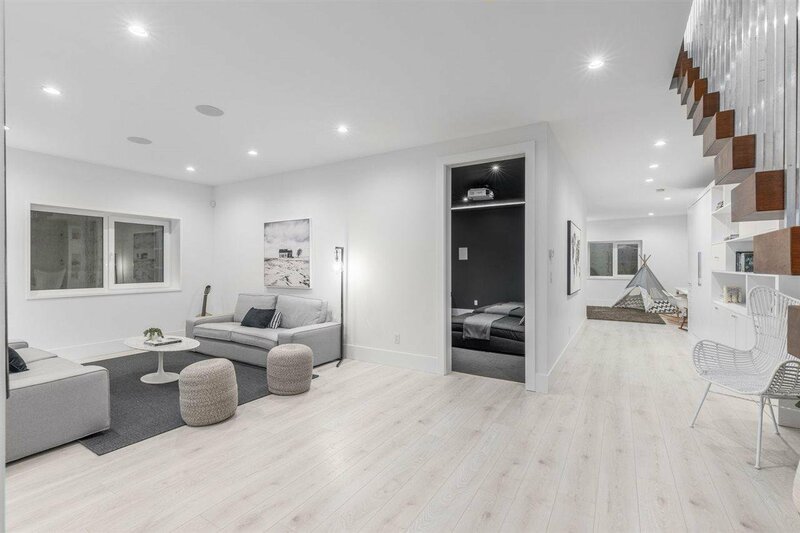 Incomparable modern home on a private 1/2 ac lot in one of North Vancouver’s most coveted areas. 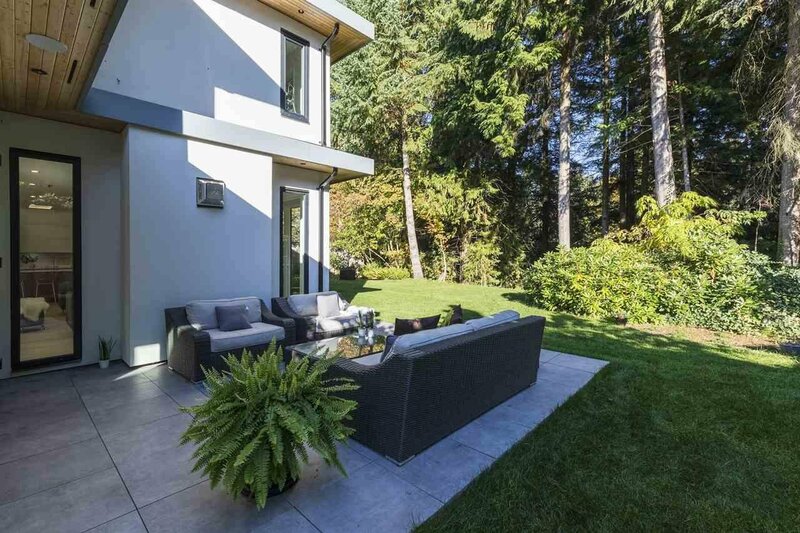 Sophisticated design at end of a cul-de-sac bordered by MacKay Creek forest. 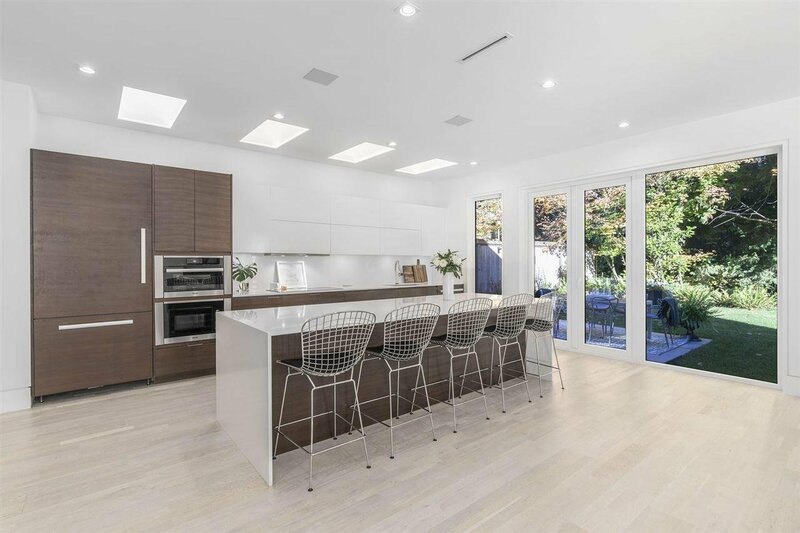 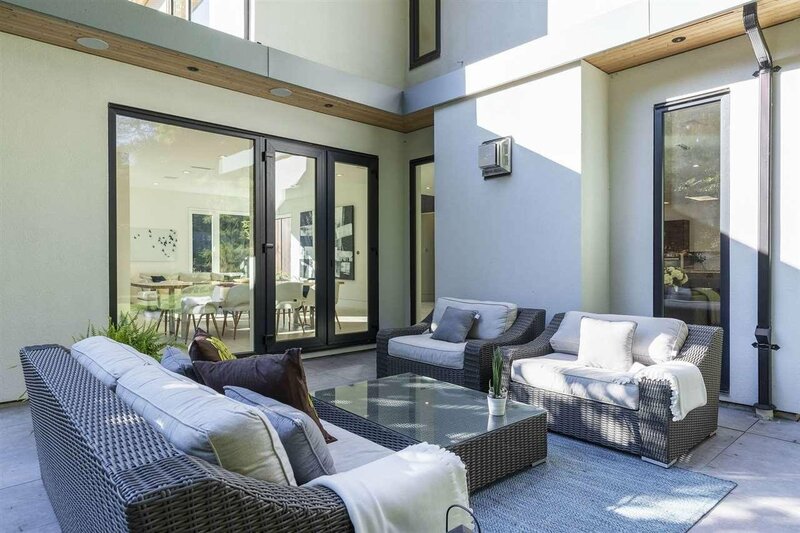 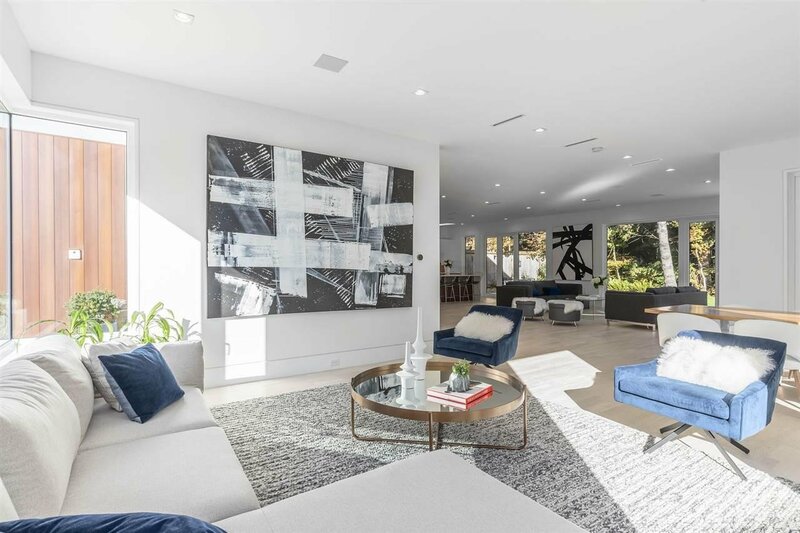 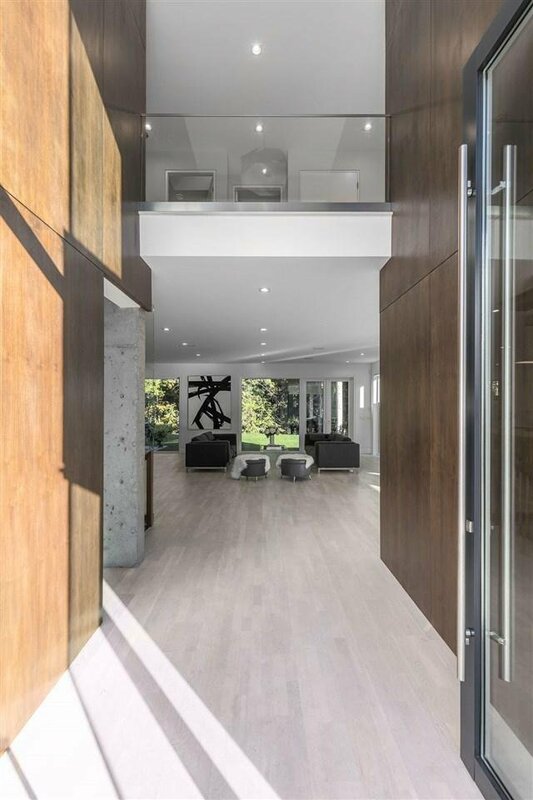 The impressive 10’ pivoting glass front door opens to a grand open living area. 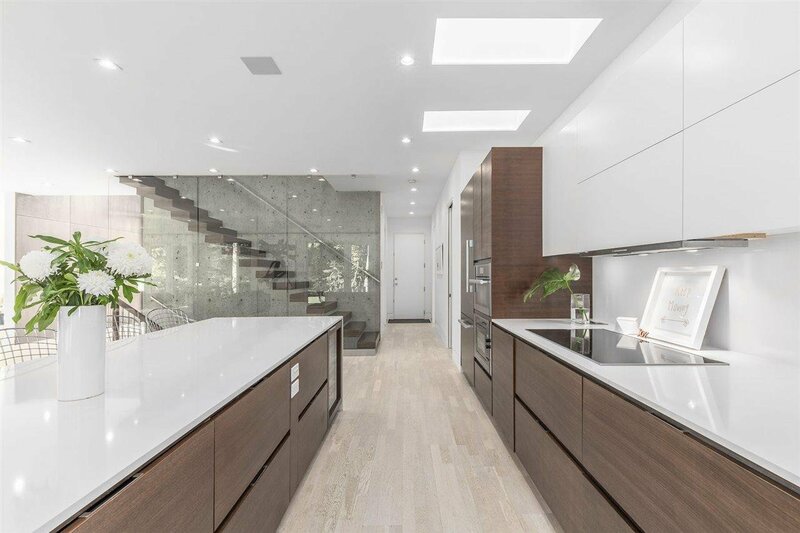 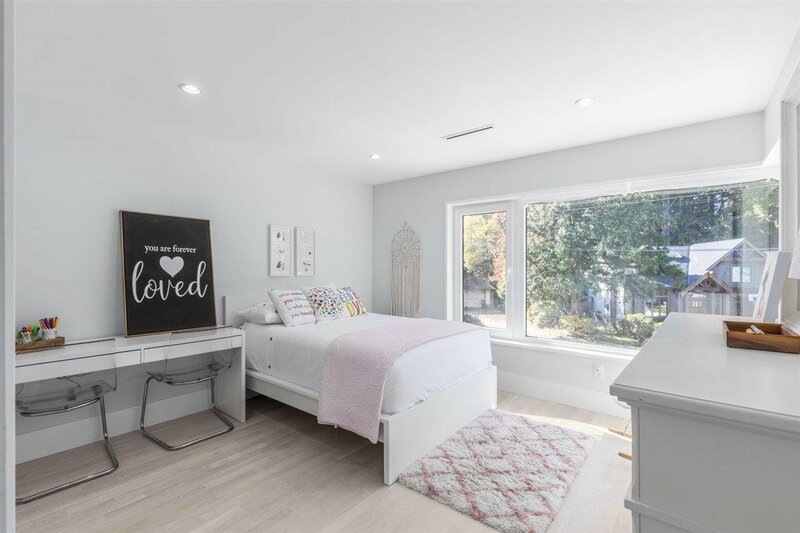 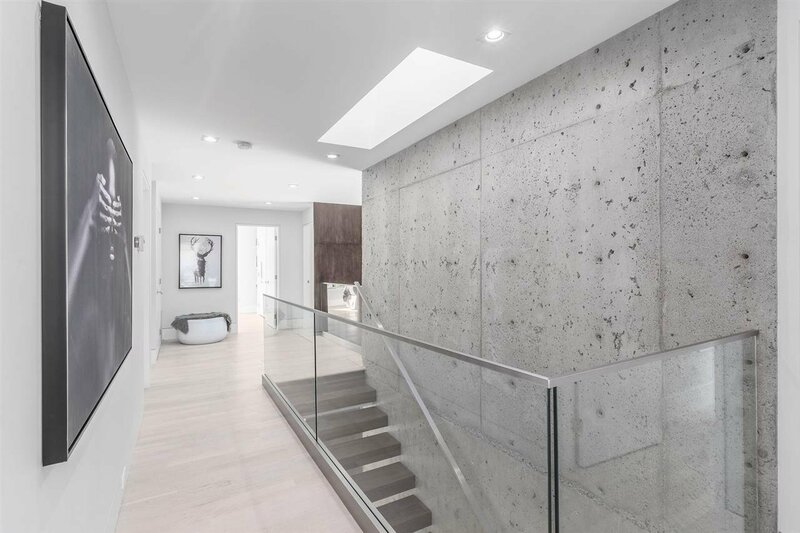 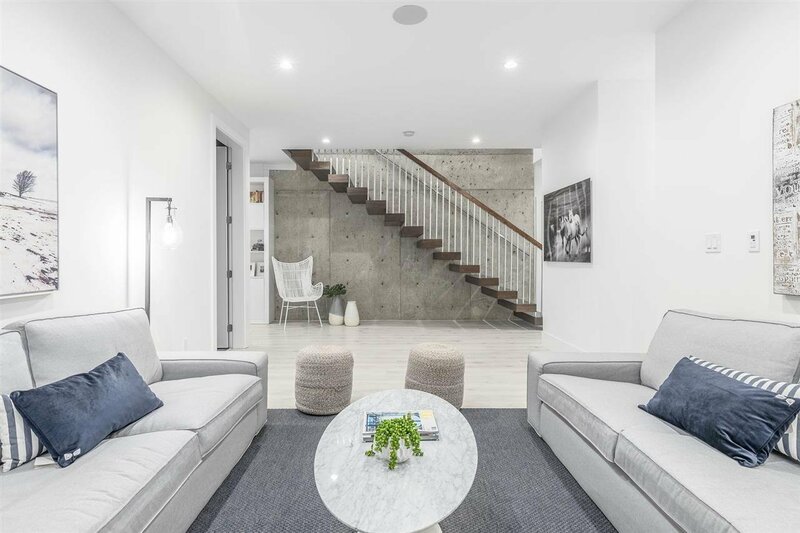 Walnut stairs float off a 28’ exposed concrete wall leading up to 4 bedrooms, 3 baths & tranquil master suite. 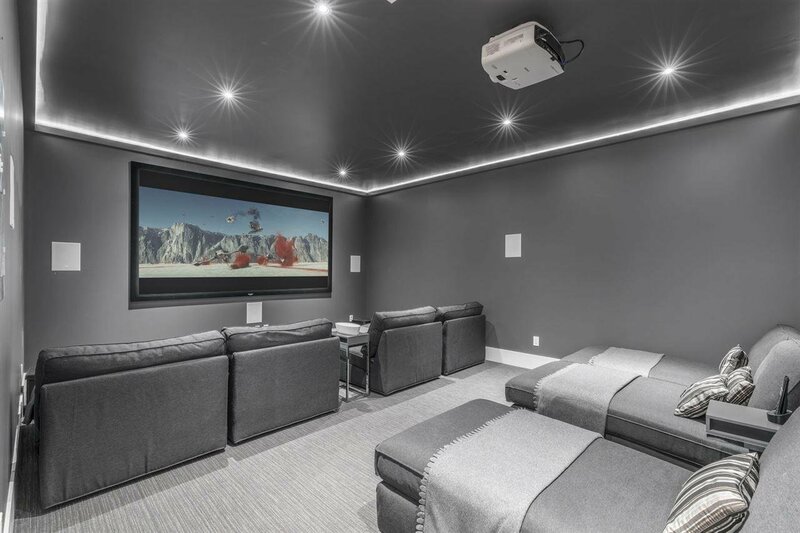 Below is a wine cellar, bar, theatre, steam/ sauna, separate legal guest suite. 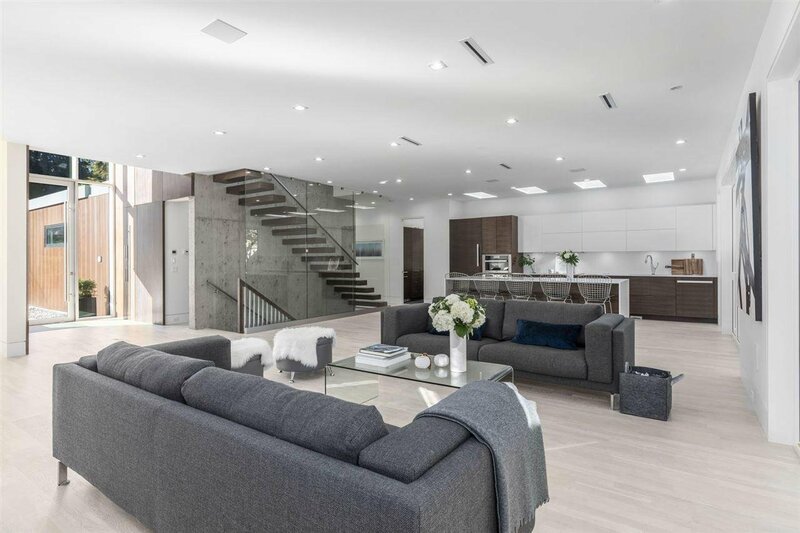 This exquisite home is truly one of a kind.